Facing investigation or prosecution for tachograph offences? We can help you. Our transport solicitors and barristers are all highly experienced in this technical area of law. Whether you are facing criminal prosecution, a hearing before the Traffic Commissioner, or a DVSA / VOSA investigation, make sure you get specialist, confidential legal advice. The rules on tachographs are very strict. Below are some of the most common tachograph offences. Driving without a driver’s card in is a serious matter. The law draws a distinction between drivers who knowingly drive without their card in, and those who do so by accident. The former cases can carry up to two years in prison. 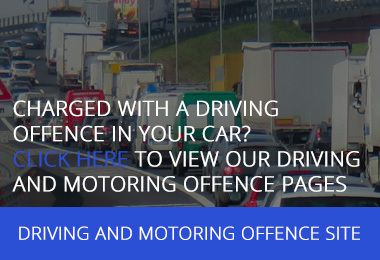 This offence often arises when drivers pull their cards in an effort to hide the fact that they are exceeding their drivers’ hours. The DVSA / VOSA will want to investigate why this happened, and how far the vehicle travelled without a card in. They will also want to know whether any pressure was placed on a driver to pull their card. By driving using another person’s tachograph card, a driver is creating a false record. The DVSA / VOSA will want to investigate why the other card was used, and how it was obtained. This offence can carry up to two years in prison. The authorities will want to know whether the Operator was aware that a driver was using another’s card. Operators who fail to notice this happening, or are complicit in it, can expect to be either prosecuted or called to Public Inquiry by the Traffic Commissioner. The DVSA / VOSA have very sophisticated technology to check whether a tachograph interference device is being used. Drivers and Operators found with interference devices installed will almost certainly be prosecuted and the Courts have shown a tendency to impose sentences of immediate imprisonment. An Operator suspected of forging or creating false tachograph records can expect to be prosecuted, and/or called before the Traffic Commissioner at Public Inquiry. The Traffic Commissioner will want to consider whether, as a result of the deception, the Operator should have its licence revoked. Operators are legally required to keep tachograph records for a specified period of time. Failing to keep these records is an offence. At Public Inquiry, the Traffic Commissioner will want to know why records were not kept, how often records were analysed, and what steps the operator took to identify and prevent drivers’ hours infringements. Click here for more information on tachograph offences. This will depend on the type of tachograph offence suspected, and the stage of the process. If suspected tachograph offences are found during a roadside stop by DVSA / VOSA, the driver can expect to be interviewed under caution. Evidence from the interview can be used to support any criminal prosecution or driver conduct hearing. You should always speak to a transport lawyer first for a free, no obligation initial consultation. Operators should be aware that offences found during roadside stops will usually lead to a DVSA / VOSA inspection of your operating centre. During an operating centre inspection, the DVSA / VOSA will want to analyse your tachograph records and may want to download data from your vehicles and from the driver cards. If tachograph offences are found, the operator can expect to be interviewed under caution about them. Following the interview, the inspection officer will compile a report of their findings. Depending on the seriousness of any tacho infringements found, the operator may be prosecuted, or called to Public Inquiry with the Traffic Commissioner. For more information, speak to one of our specialist transport defence lawyers today. Tachograph offences are a highly technical area of law. They are treated very seriously by both the criminal courts and the Office of the Traffic Commissioner. Smith Bowyer Clarke is a specialist transport law firm. All our solicitors and barristers are experts in all aspects of tachograph prosecutions and infringements. We have access to some of the best tachograph experts in the country to assist your case. We can also arrange for an independent audit of your tachograph analysis systems and advise on what you should be doing to stay lawful. 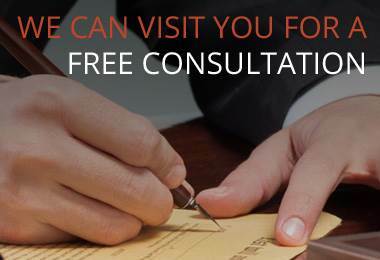 We offer fixed fees and free initial consultations. Call or email us today for more information.